OHIO Seal Coating & Repair specializes in residential driveway & asphalt parking lot seal coating. Additional services we provide include crack repair and pothole repair. We provide free estimates, and our experience combined with the latest equipment gets the job done right the first time in a timely, cost effective manner. Ohio Seal Coating Repair is a family owned and operated company, and proud to serve the commercial, industrial, and residential community. OSC provides quality asphalt seal coating and maintenance services and has developed a reputation of excellence with our customers. From our professional services to our knowledgeable and friendly crew, you can always count on Ohio Seal Coating & Repair to meet your asphalt maintenance needs. Nothing can ruin the look of a beautiful parking lot or driveway like a large crack running through the pavement. Cracks are unsightly, uninviting and can be unsafe – but that’s not the only reason they’re a problem. Cracks also threaten the overall strength of your pavement, leading to severe structural issues and expense over the long term. 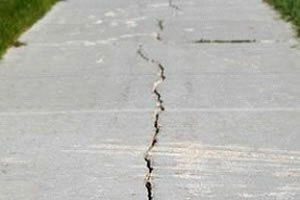 Cracks allow water to penetrate your pavement and seep into the underlying base layers, where they can create voids that turn into potholes and eventually destroy your concrete foundation / asphalt foundation. We recommend filling cracks as soon as possible in order to prevent a condition known as “alligator” cracking, which can quickly lead to unsightly and dangerous potholes. 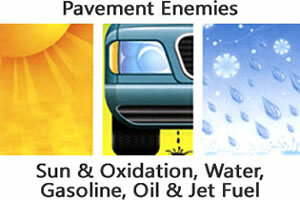 Our estimator will be happy to talk to you about your pavement and the best solution to remedy your pavement damage. 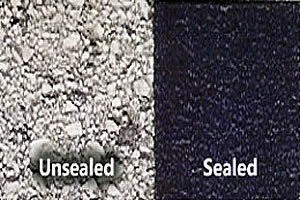 Why Seal Coat My Asphalt? The cost of replacing damaged or deteriorated asphalt is SEVEN TIMES what it would cost to maintain the original asphalt. A properly maintained asphalt pavement will last up to three times longer than an unsealed pavement. The benefits of maintenance? 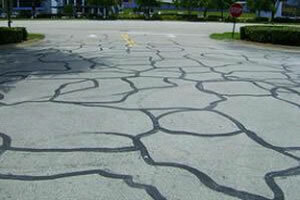 This durability and long life can add up to thousands of dollars in savings, even for small parking lots or driveways. A properly installed, well maintained asphalt surface should last 20 years. Or more. Asphalt seal coating can DOUBLE the life of your pavement by protecting it from its enemies: sun & oxidation, water, gasoline, oil & jet fuel. Ohio Seal Coating applies sealcoating products tailored for each particular situation to form a tough protective coating over your parking lot or driveway. Seal coating preserves the investment you have in your asphalt, while at the same time making your property safer, cleaner and more attractive. Our service makes your property more valuable, appealing, and your neighborhood smiles, too! Properly designed parking lots & driveways rarely wear out from traffic. Surface deterioration is usually caused by the weathering effects of the sun and rain as well as the softening effects of deicers, gasoline and oil dripping. Contact Ohio Seal Coating for a FREE Estimate today!